Good day my dear readers.I have prepared for you a new review of the project. Magnus is designed to define the universe of robotics and AI automation for organizations. This is the world's first Dual Token Robotics and AI ICO built on two platforms - Ethereum and NEO. Magnus is the first truly decentralized network of intelligent AI agents, robots, sensors, equipment and humans to create a global marketplace of knowledge, skills and computing power. Magnus begins a new era of business, technology and thinking. The Magnus Era brings with it a fundamental change in how intelligent systems are built and interact with each other. The ultimate goal of Magnus is to make people smarter, machines better, robots cheaper and faster, and artificial intelligence advanced, ensuring collaboration with other agents in the Magnus Collective network. In addition, Magnus will have its own independent bot agents ("Sentry Bots"), which guarantee protection from outside agents in the Magnus network. Sentry Bots will use white and black lists to maintain the reputation and efficiency of the network. creation of a useful center of robotics, AI, IOT, Humans and cloud systems. accelerate the development and use of robotics, which will lead to a maintenance economy where individuals and organizations can rent robotic services using the Magnus Token. create and conduct an open exchange between different organizations that are developing rapidly in the last decade in BlockChain, Ai, robotics and cloud computing. create a network effect of goodwill and progress in the team, which will lead to accelerated technological progress and economic development when Magnus Collective reaches its goals. Innovation in AI has accelerated in recent years-low-cost computing and access to large data sets are key drivers of growth. Artificial intelligence, processing signals and learning, managed many modern technologies, ranging from search engines, assistants with voice prompts and even targeting online ads. The creation of a combined cognitive platform is already happening - it's not a research project in a College lab, and it's been accelerating over the last decade. So far, smart people are the ones who get the highest score by making the least mistakes. AI will change fundamental logic because there is no person who is able to outsmart, for example, a new Google AI engine or IBM Watson platform. So we see an era of development where people have to work with AI to get tangible results.Smart machines can process, store and remember information faster and better than we humans. In addition, AI may map the templates.AI can even faster to learn. Blockchain, which became known after Bitcoin, proved that by combining peer-to-peer networks with cryptographic algorithms, a group of agents can reach an agreement on a specific situation and fix the agreement without the need for a Supervisory authority. Combining blockchains with other systems, such as Rove robotic systems or AI pools, allows groups to be Autonomous, flexible, more secure, and collaborate without controversy. Open, global and unlicensed access to various participants. Confirmation and opening of services. Connection and the intersection of various networks and the Blockchain. 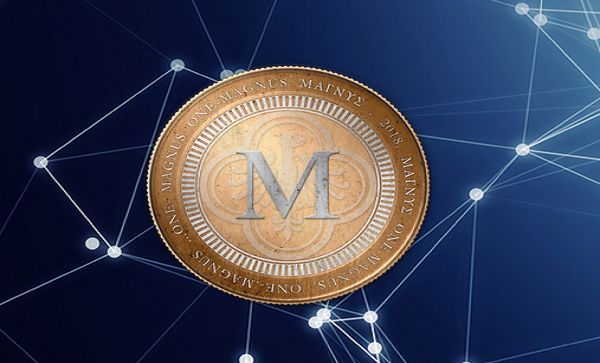 Token Magnus is designed to achieve these goals.This guarantees free and non-discriminatory access and centralizes the currency created by the collective. To confirm the service, you need to maintain 2 years popular and industrial platform Robotic rental and appreciate the integrity of the network. The Magnus Token is reborn after careful thought and long consideration of its benefits. We looked at the economic logic of hard coding and the development of economic logic that stimulates rapid growth. If we can't find a token that meets all the unique requirements of the tokens - the collective can collapse - and fail to achieve its goals. The conclusion of our careful analysis is that only the original token will allow the Magnus Collective to achieve the desired goals.To create markets that simplify transactions, guarantee access to the world and stimulate growth, we need original tokens, especially for the Robotics, AI and IOT markets. And we decided to support our token with the Robotics platform-especially for the Robot Smart platform. It goes after the next steps. Pre-ICO: stage with 60% bonus. 2 weeks. Main-ICO 0: Phase with 40% bonus. 48 hours. Main-ICO 1: Phase with 30% bonus. 1 week. Main-ICO 2: Phase with 20% bonus. 1 week. Main-ICO 3: Phase with 10% bonus. 1 week. Main-ICO 4: Phase with 5% bonus. 1 week. Prototypes: the ingen SDK is paired with a blockchain. Prototypes: Full versions of proof of concept implemented during the release of Vulcan. Prototypes: Full versions of the proof of concept participants implemented during the release of Vulcan. Projects and partners: healthcare, retail and hospitality Platforms. Robotics and AI: All platforms are in final shape and platforms.